Day 3 of New York Fashion Week kicked off withÂ LACOSTE, a show that I was very excited to be attending. Honored to be seated front row, I wanted to dress accordingly. 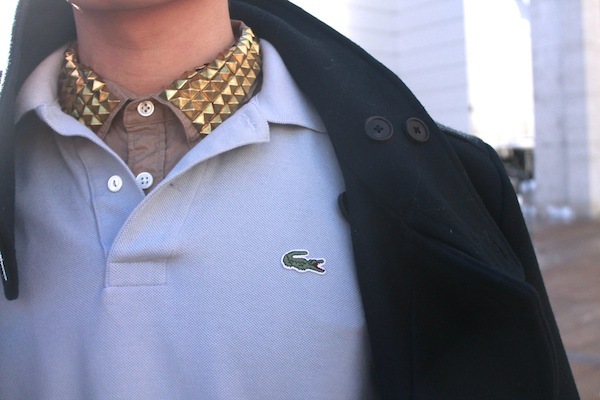 Basing my look around a simple LACOSTE polo, I layered with a DIY studded collar shirt and classic navy wool coat, thrown over the shoulders, cape style. 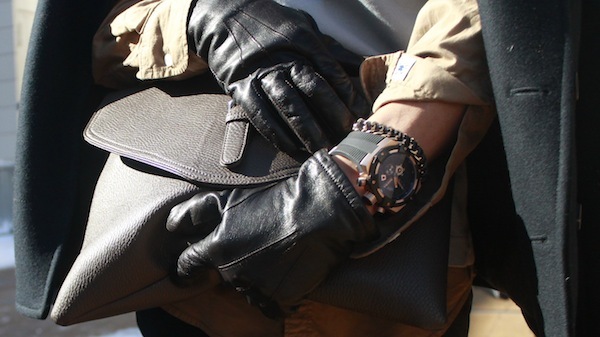 Wingtip shoes, leather gloves and a portfolio give this look a nice finish. Check out my review of the LACOSTE show and see photos of all of the looks here!